Home / Musicians who smoke weed. We have pictures here. 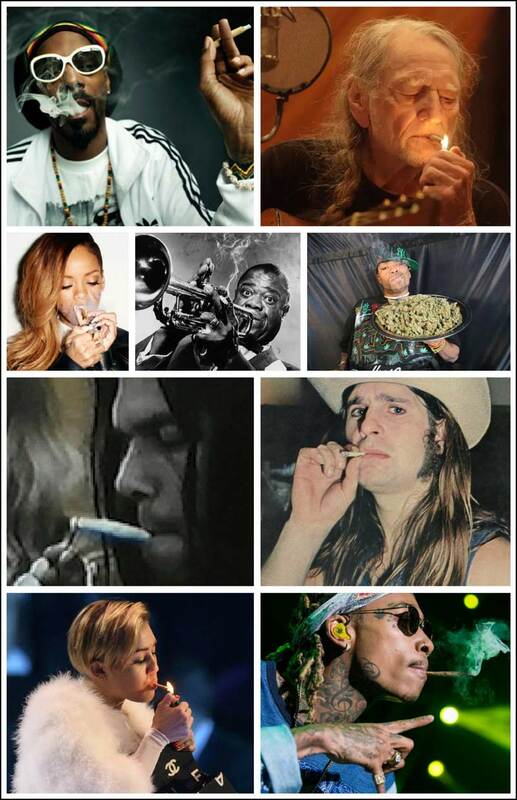 Have you ever wondered which musicians smoke weed? (Marijuana, Cannabis, Weed, Pot, Reefer, Dope, whatever you refer to it as) Well, I always have. Some people you can just tell they do, and I don’t mean this as a stigma at all, I’m sure I smoked enough during my lifetime for all of us. For example, I’m sure I don’t have to tell you that it’s definitely true that Willie Nelson smokes pot. 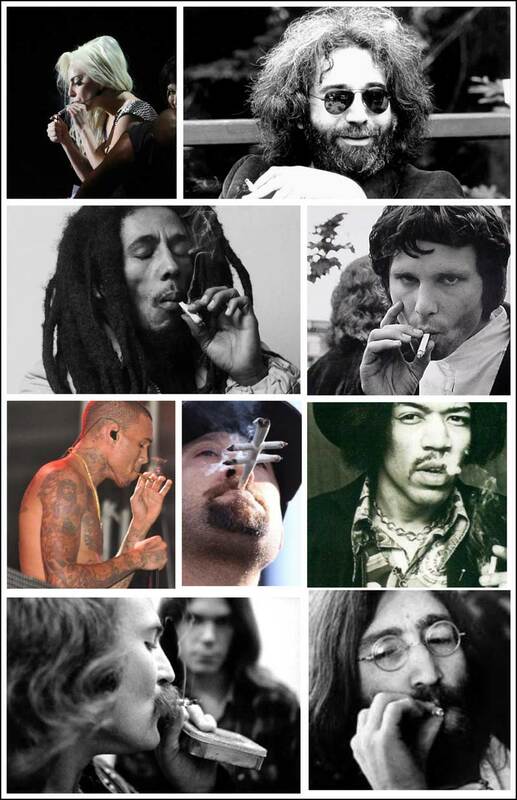 I myself got curious to see if I could find pictures of different musicians in the act of smoking and the results I found are posted below. In contrary, there are some musicians that you would bet definitely do smoke, but you’d be wrong; Ted Nugent is one of them. Before I knew this, I would have bet anything that Nugent smokes, but he doesn’t and in fact, he’s against it and he follows the stigma that is associated with it. Meaning that he will immediately call you a ‘stoner’ or a ‘pot-head’ and has also inferred that it makes people stupid. I definitely don’t agree with that, but again, I never though he’d have that kind of mind set. Included in the photos below are (again, some you’ll agree with immediately, and some may surprise you) Bob Marley, Jerry Garcia, John Lennon, David Crosby, Louis Armstrong, Chris Brown, Snoop Dog, Wiz Kalifa, Jim Morrison, Rihanna, Miley Cyrus, Jimi Hendrix, Lady Gaga, Method Man, B-Real (Cypress Hill), Ozzy Osbourne, Neil Young, Willie Nelson …. While I am sure there are A LOT MORE, these were really the only ones I could find photos of. Light up and enjoy! !